The apostle Paul teaches us that the unrighteous will not inherit the kingdom of God and lists those who are unrighteous. Paul writes, “And such were some of you. 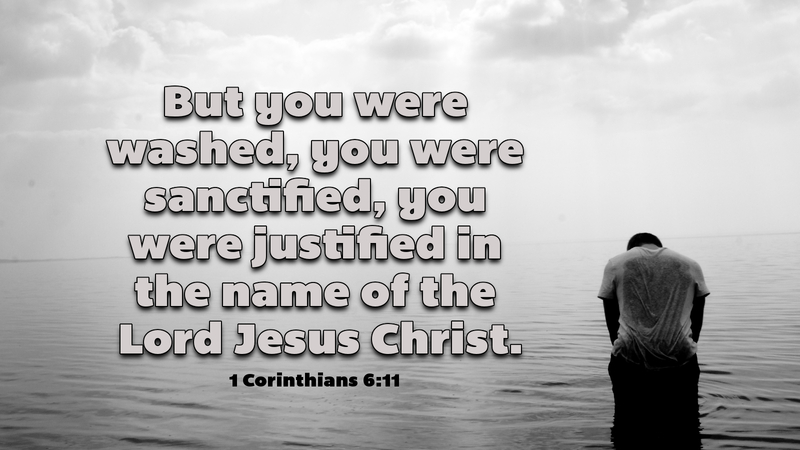 But you were washed, you were sanctified, you were justified in the name of the Lord Jesus Christ and by the Spirit of our God” (1 Cor 6:11). Clearly our baptism into Christ and the resulting faith, brings about a change in our sinful nature that makes us holy. Like Augustine, we are not the person we were before. So we leave behind our former way of life and move forward in faith to grow more and more into the new creation Christ has made us to be. Prayer: Heavenly Father, give me the courage to leave behind the ways of sin in order to grow in grace and become more Christ-like in my witness to others. Amen.